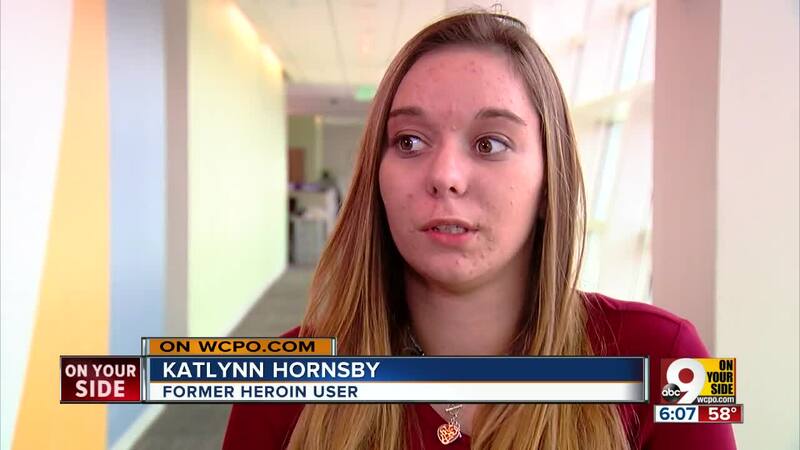 CINCINNATI – More than a year ago, Katlynn Hornsby was desperate and dying from bacteria racing through her bloodstream – an infection caused from using heroin. The 22-year-old Colerain Township resident says she’s alive and “clean” today thanks to Ohio’s expanded Medicaid program, which allowed her to get the medicines needed to treat both her infection and manage her deadly addiction. Hornsby is among tens of thousands of Ohioans whose health and treatment are in jeopardy as Congress takes up the work of repealing President Barack Obama’s Patient Protection and Affordable Care Act, say addiction and mental health experts. In Ohio, more than 700,000 residents have been enrolled into Medicaid since the program was expanded in 2014. Another 230,000 Ohioans have gained insurance through the online marketplace, Healthcare.gov. Of those, at least 500,000 have tapped their new coverage because of a mental health need, including addiction services and treatment, said Joan Englund, executive director of the Mental Health & Addiction Advocacy Council, a Columbus based nonprofit. Republicans in Congress have vowed to dismantle Obama’s health care law, often dubbed Obamacare. To do so, they’re expected to turn to a special process known as budget reconciliation – which allows existing laws to be changed in order to bring federal spending in line with a budget resolution. Such a move would allow Congress to essentially conduct a partial repeal of the law by reworking or eliminating key features including Medicaid expansion and federal tax credits for insurance plans purchased on the new marketplace. Items that couldn’t be removed through this process include many of the insurance market reforms, including prohibiting insurers from denying insurance based on pre-existing conditions and coverage of essential benefits such as physicals, prescription drugs and addiction treatment services. Locally, health care experts say any changes to Medicaid or the marketplace could have a big impact on thousands of residents battling addiction and mental illness and the agencies that serve them. Since Medicaid was expanded in Ohio, Central Clinic Behavioral Health in Cincinnati has served 4,000 new clients with both psychiatric and medical needs, said Walter Smitson, the nonprofit’s CEO. “If the Affordable Care Act is repealed and not replaced, we’ll see a tremendous number of people who suddenly will not have access to the care they need,” he said. At Greater Cincinnati Behavioral Health – which serves residents with mental illness and drug addiction across the region -- as many as 80 percent of the agencies 15,000 patients have Medicaid coverage, said Jeff O’Neil, the nonprofit's president and CEO. Should more Americans lose medical coverage as a result of a repeal, experts warn health care costs are likely to climb as the uninsured forego treatment and become sicker, costlier patients. Rather than getting care and medical treatment on the front end, patients who lose coverage “will end up in our local emergency rooms seeking care,” where the costs are more expensive, Smitson said. For every dollar invested into addiction treatment and mental health, there is a $12 savings in other health care related costs that are avoided, said Shawn Ryan, CEO at Brightview, a Norwood-based addiction treatment center. “The fact is, this is the most effective return on investment in health care in our country today," Ryan said.